Wide Mouth Pint Jar - 6 21Qt. canner measures - 15.5 x 15.5 x 15"
Wide Mouth Quart Jar - 7 33Qt. canner measures - 18.375 x 18.25 x 17.5"
These sturdy water bath canners from GraniteWare are lightweight, durable, and resistant to stains, acids, and odors. It is dishwasher safe and very easy to clean. They feature a mediterranean black porcelain-on-steel finish, complete with a white spray-on enamel. Other features include a high domed vapor seal cover with handle, and side handles on the 11.5 and 22 Quart styles. 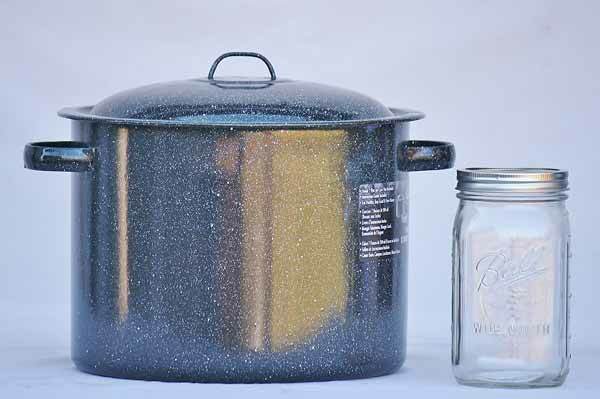 These GraniteWare water bath canners are a wonderfully versatile addition to your kitchen! 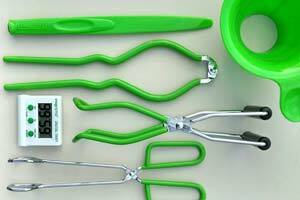 Note: This canner includes a galvanized wire rack with handles. Hand wash rack. 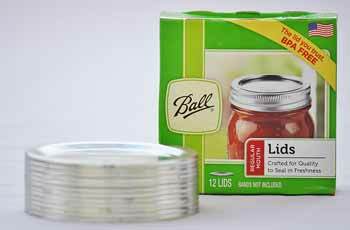 Note: This product is designed for water bath canning and are not recommended for other uses. 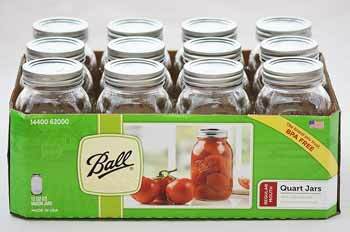 We also offer a 7-Function Canning Kit to make getting started easy!